1pc - 19mm Pass-Thru Reversible Quick Release ratchet handle. 1pc - 3 in.Drive Quick Release Extension bar. Unique Pass-Thru Designed Socket, works over long threaded rod ; Low profile design for tight spaces. Ratchet handle and Extension,Quick Release Designed ,easy for work. 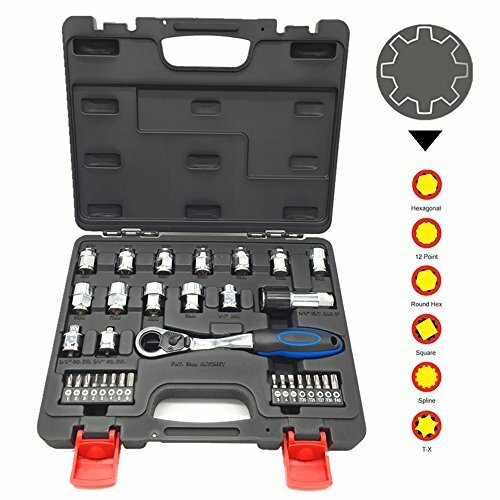 With 16pc useful bits, have this sets ,have easy to work. If you have any questions about this product by JENLEY, contact us by completing and submitting the form below. If you are looking for a specif part number, please include it with your message.